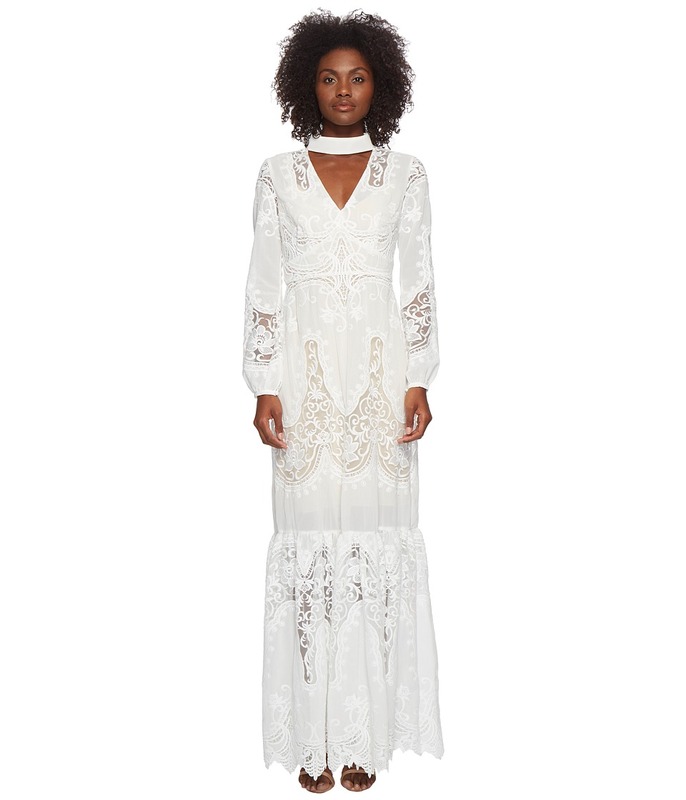 Turn heads with your stellar beauty wearing the ML Monique Lhuillier Long Sleeve Lace Maxi Dress. A-line silhouette. High collar. Long sleeves with button cuffs. Back zip closure. Fitted waist. Single tier skirt. Lace detail throughout. Scallop lace hemline. 100 percent polyester. Lining: 100 percent polyester. Professional dry clean only. Imported. This item may ship with an attached security tag. Merchandise returned without the original security tag attached or a damaged tag may not qualify for a refund. Measurements: Length: 60 in Product measurements were taken using size 2. Please note that measurements may vary by size.